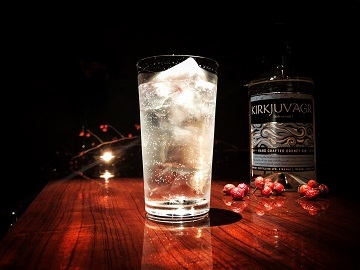 A hand crafted Gin, created by a young married couple based in Orkney. They make it in small batches using traditional copper stills and Orkney bare barley in the recipe. I heard all ingredients are supplied from inside of Orkney Islands. As for botanicals, In addition to traditional Juniper, they use Ramanas Rose(Hamanasu 浜茄子 in Japanese), Barnet Rose, and Angelica which is supposedly brought to the islands by their ancestors norsemen Viking centuries ago. We recommend it to be served straight, with a little ice or most classical Gin Sling. When you try to use it in Gin&Tonic. It might need a little bit of strategy to make good use of its subtle character.